Maths literacy teachers' blog | News, resources and titbits…. Posted from Diigo. 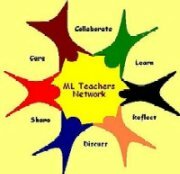 The rest of Mathsliteracy Teachers resources group favorite links are here. “Conversations about mathematics education in this country pop up frequently in the media – and I have yet to come across anyone who is happy with the way things are in the learning of maths among the nation”s children. “South Africa is significantly underperforming in education, particularly mathematics teaching and learning. Fundamental reforms are needed in the public sector. Business leaders need to incorporate an understanding of private education and other market experiments and schooling innovations in their overall perspective and priorities for intervention and reform.